Hey everyone! This morning I found ice on my car, which means it's definitely officially winter, and therefore time for winter/festive nail art. I feel like I cant really get in the festive spirit until I've bought all my christmas presents and as I've only bought my boyfriend's I can't really say I've done enough to be able to relax and enjoy the build up to Christmas. I'm setting myself a goal to have finished all my shopping by the end of next week but we'll see how that goes! 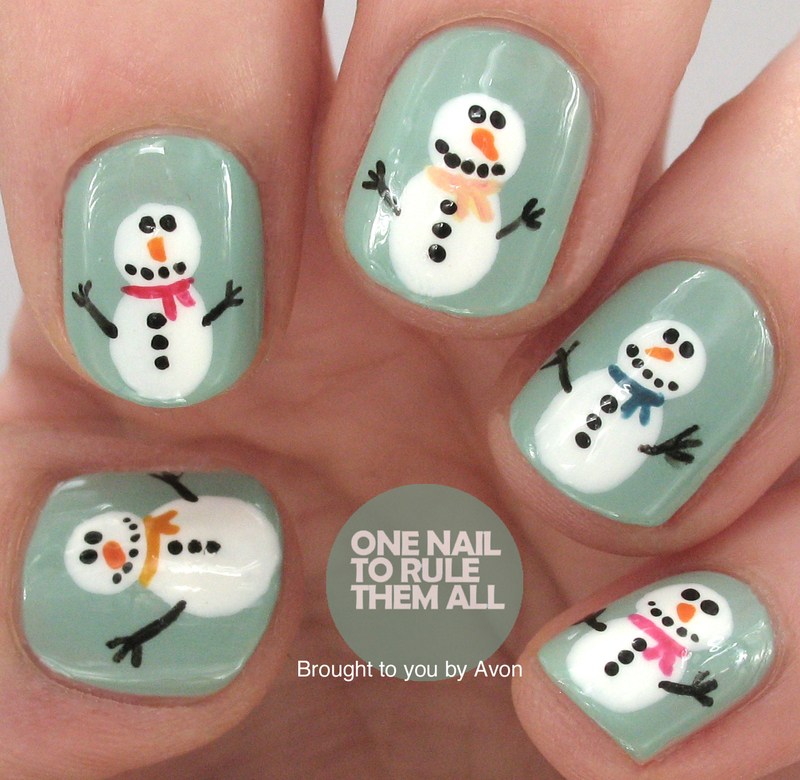 Today's nail art design is this cute snowmen design I created for Avon. They were super simple to create, even though they might not look it for some people, and they only took about 20 minutes to do. Snowmen are such a go-to winter design but I've actually never done them before so it was quite fun to do something different! The base for these nails was Avon - Sea Breeze and then I used white, black and then a variety of colours mixed together for the scarves. Aw i love these they're so nice! 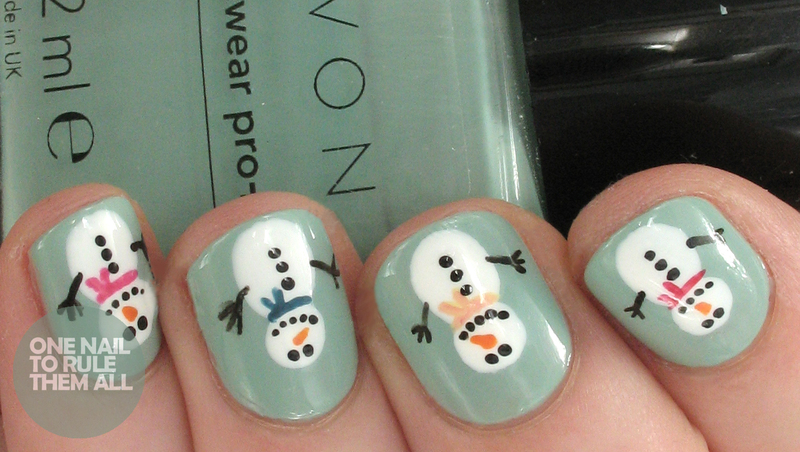 snowmen were next on my to-do list but definitely can't top these! This design is so adorable!